Scott Northrup’s recent temporary installation Hämeenkyrö, Mon Amour (2015) was comprised of text projected onto the landscape near the town of Hämeenkyrö, Finland, at sundown. For about thirty minutes, excerpts of scripted dialogue from Alain Resnais’sHiroshima, Mon Amour and several movies by Finnish filmmaker Aki Kaurismaki, as well as Northrup’s own writing, crawled across the vast, darkening plain in what the artist refers to as a “love letter” to the beautiful, welcoming place he’d come to know after a month-long residency there. If the scale of Hämeenkyrö, Mon Amour is notably ambitious, its sense of near-boundlessness is fitting for a conceptual artist whose work will be confined to no medium. 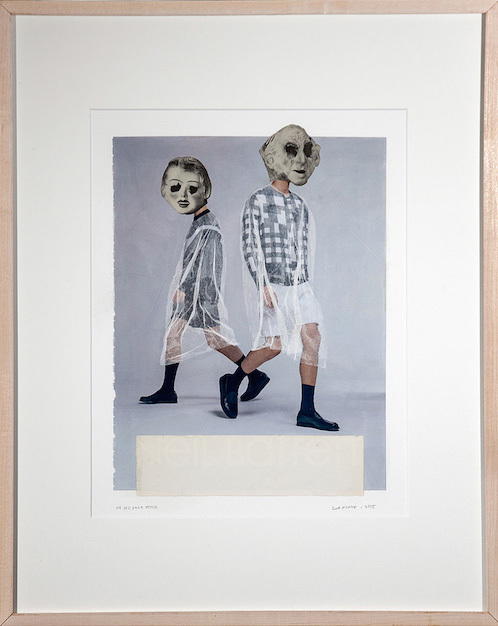 And in its public display of intimacy, its deep roots in both personal experience and popular culture, and its tightrope dance between immateriality and physicality, it is classic Northrup, scaled up.